United States Cuba Relations: "It's possible in the lame duck, but more likely next year"
Those who are wondering what will happen to the Cuba Travel/Agriculture legislation, there you have it in a nutshell. 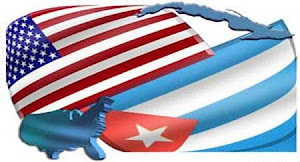 The Congress may take it up in a lame duck session or the proverbial "next year", the line that is regularly given on Cuba issues -- "wait till next year", "next congressional session", "after next election", "after Castro dies". Wait, wait, wait. How long do you want to keep waiting? Meanwhile those checks from the anti-travel/pro-embargo crowd keep on going to Congressional candidates, a cool million, every election cycle. Lets analyze this more cogently. First HR. 4645 must be reported to the floor by the House Foreign Affairs Committee. Will Rep. Howard Berman use his power as a committee chairman to get the bill to the floor? Lets hope so. There is a $10,000 bet from the anti-travel/pro-embargo crowd that he won't. Assuming that does happen, will it happen before the elections? Not according to a Reuters story yesterday, http://www.reuters.com/article/idUSTRE68D4MG20100914 , which called a post-election vote on the Cuba bill, "the best chance" to pass it. The other question we must focus on is - what exactly is going to pass - a completely intact HR 4645 or an amended one where the travel provision gets stripped out? This is a possible scenario and everyone who says they want to travel to Cuba must fight tooth and nail to ensure that the travel provision stays in the bill. The Agriculture industry should hold fast and stand with the travel industry and moderate Cuban Americans and Americans who want an end to our failed policy with Cuba and violation on our rights. The Senate too must also act, in this session of Congress, not next year Senator Klobuchar. What kind of U.S. Senate are we going to have after November's election? If HR. 4645 does not pass both houses of Congress in this session, guess where we will be in January, 2011? Right back at square one. That's exactly where the anti-travel crowd wants this issue to go. Do you? Whatever happened to the urgency of now? Also in the news yesterday, Reuters reported "U.S. says contractor case hinders Cuba dialogue moves" http://www.reuters.com/article/idUSTRE68D4WK20100914 referring to the case of Alan Gross. Cuba should not keep this man in limbo any longer, but pronounce publicly the charges facing him and enter into a dialogue with the United States to secure his freedom. So many things hinder dialogue. But in the end either you want to have a dialogue or you don't. Have it with the hindrances so you can begin to remove them within the context of a dialogue. The problem is you can't have a dialogue if two parties keep talking at each other. They need to start talking with each other. Assistant Secretary of State Arturo Valenzuela should go to Havana and meet with his counterpart behind closed doors and start negotiating the release of Mr. Gross and all the human beings caught up in the mess of U.S. Cuba relations. Dialogue requires sincerity and committed action to achieve a successful outcome. Where is it?